Four mountain lion sightings have been reported recently in San Francisco. The same cat appears to be the lone feline involved in all the sightings, said a statement from the Presidio Trust, National Park Service and San Francisco Animal Care and Control. Three of the sightings came from members of the public, but experts did not confirm them. 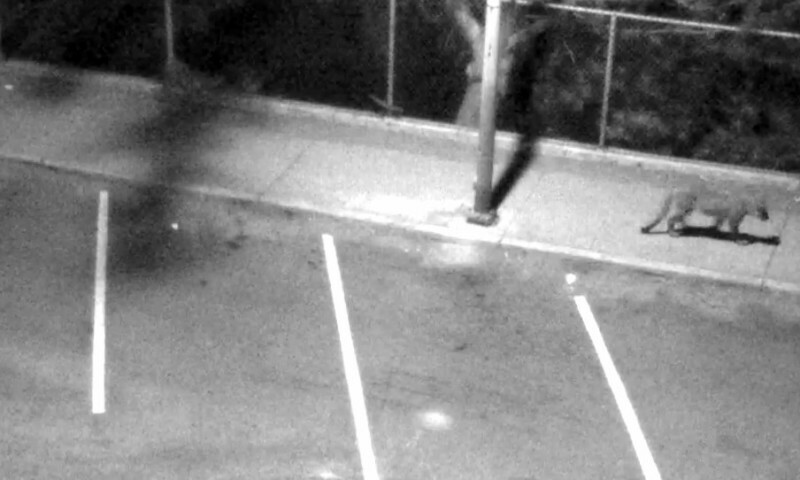 The fourth, which showed an adult mountain lion, was recorded by a neighborhood security camera. On June 30, the big cat was spotted by a camera in Sea Cliff above China Beach and also in the western Presidio, near Washington and Lincoln boulevards close to the ocean, said Presidio Trust spokeswoman Dana Polk. The next day it moved on to Gough Street, near Lafayette Park. Two days later there was a sighting in southwest San Francisco near Lake Merced, she said. The animal's tour of San Francisco might well be over by now. It was last spotted on July 3 and seems to be moving south. Officials noted that sightings regularly occur in undeveloped parts of Marin and San Mateo counties. But San Francisco is another matter. About three years ago, Polk said, a mountain lion turned up at the Recology dump in southeast San Francisco. That was the first time in about 100 years that anyone had glimpsed a puma in the city. That mountain lion was lucky. Encounters between big cats and humans often end badly, at least from the feline perspective. In late August 2010, for example, police shot and killed a 100-pound female roaming around Berkeley's Gourmet Ghetto in the middle of the night. If the mountain lion seems threatening, pull children close and don't crouch to pick them up; throw rocks, backpacks, water bottles, sticks and other heavy objects; speak loudly and firmly, wave your arms and clap your hands above your head; fight back if you're attacked and don't play dead or lie down; be especially alert between dawn and dusk, and always keep your pets on a leash. The Felidae Conservation Fund, based in Mill Valley, is a good source of information about mountain lions and other felines. Among the many tidbits on the site: Mountain lions have been know to jump as high as 22 feet.